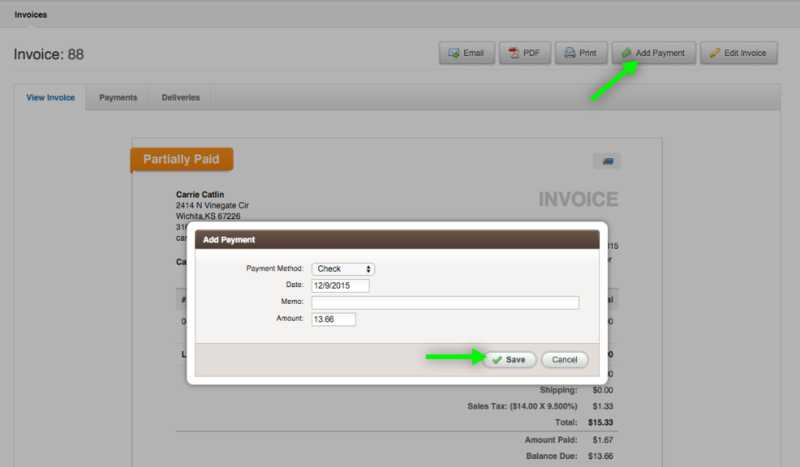 First create your invoice like normal and save it with out paying. 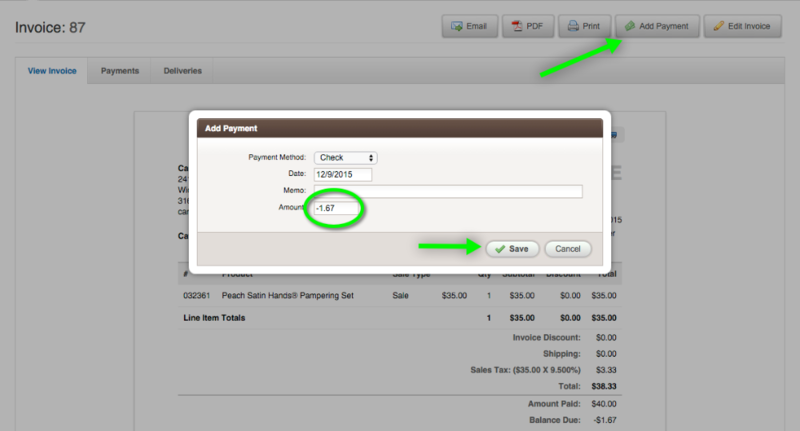 When you click "add payment" add the payment in the amount your customer is giving you. This will be an overage. When I look back at my invoice list I will see that I owe her $1.67. I can also see this in the "Outstanding Balance Report" in the report section under the finance report heading. 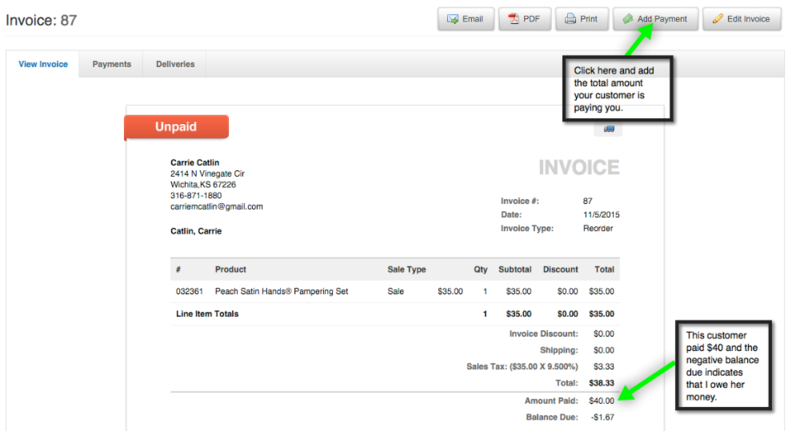 Last go back to the invoice that had the overage. 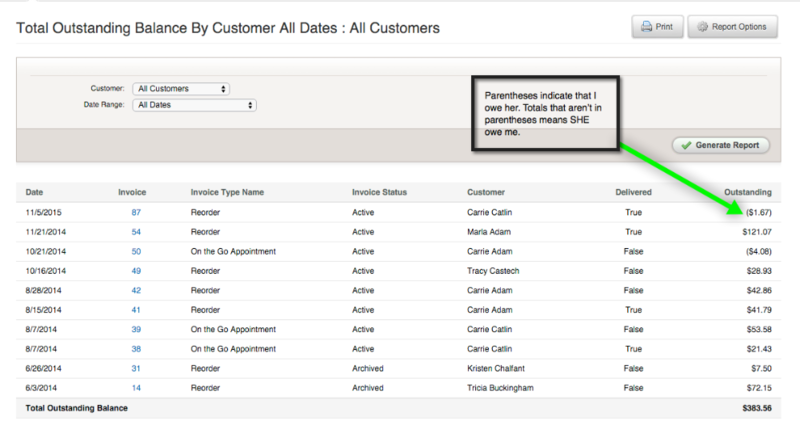 (If you forgot what number that was you can go directly to it from the Outstanding Balance Report.) 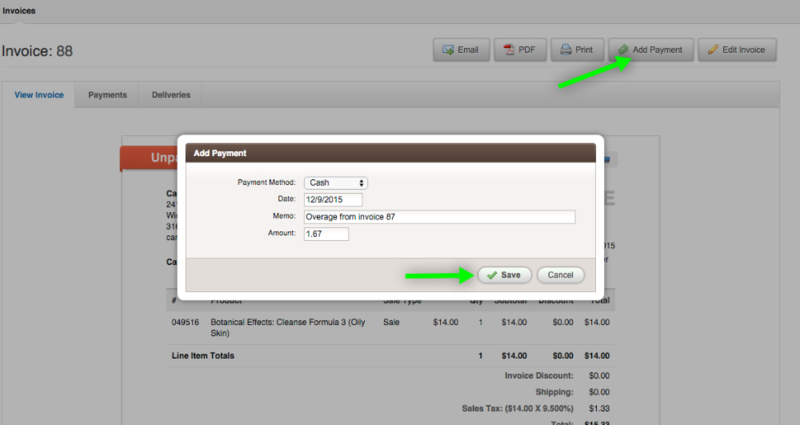 Click "Add Payment" again and choose to add the negative amount. This will clear out the credit on her account.